We recommend deals at Alchemy, Barrio, Marmite, Navy Strength, Outlier, Vestal and Zocalo. Seattle is never in shortage of happy hours. They keep coming, luring you with $6 Manhattans or gussying up bar bites (trout tacos or duck sliders) to outdo the competition. Below are seven new happy hours we recommend. Josh Henderson’s reboot of his ambitious restaurant in South Lake Union focuses now on the Amazon lunch crowd. But there’s also an extended happy hour that features a stellar cheeseburger ($7) along with the usual bar fare of wings and spinach-artichoke dip. One of the most popular bars around the Pike/Pine corridor expanded its summer happy-hour menu with trout tacos ($7) and nine other taco options. 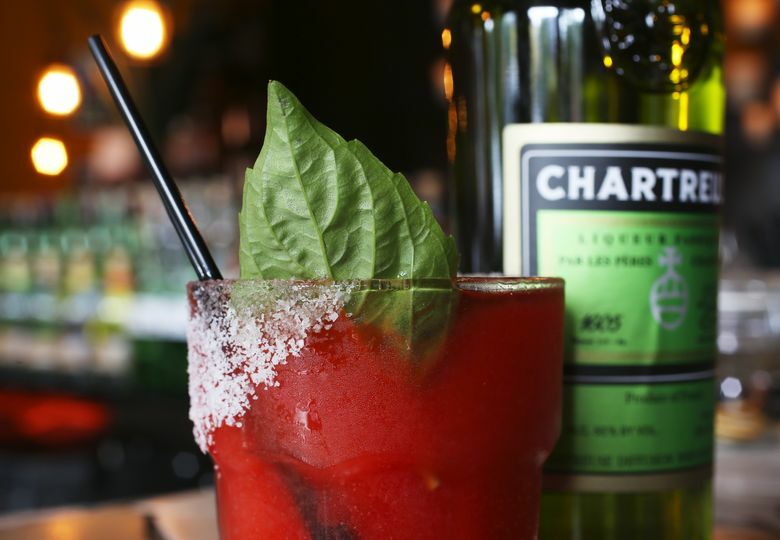 Its popular margarita is $8, but spend the extra two bucks and get the frozen strawberry-basil margarita with a chartreuse float, one of the best slushies in the city. One of the more ambitious openings this year, this 7,000-square-foot Mexican restaurant in Pioneer Square seats about 200. To fill those seats during the dead period between lunch and dinner, Zocalo rolls out a discounted bar menu. The Mexico City- and Oaxacan-inspired food is better than your usual Taco Tuesday — chorizo-and-egg and al pastor served on fresh tortillas, and $5 beef tartare. After-work hangouts with cheap drinks, patios and spacious bar areas are at a premium downtown. The new bar/restaurant inside the Hotel Monaco checks all those boxes with $6 cocktails, like the Manhattan, and nibbles like the $4 duck-fat fries. For something more substantial to fortify you between the cheap drinks: $10 brick-oven pizzas. There’s a 50-seat back patio to take in the sun, some al fresco seating out front (16 seats) and a bar that can hold two dozen more. One of the big cocktail-bar openings in Seattle this year, this ambitious tiki spot comes from the couple behind the respected No Anchor and Rob Roy in nearby Belltown. There’s now an extended three-hour happy hour with $8 daiquiris and $5 BBQ duck sliders with green papaya salad. The new cocktail den in West Seattle is trying to channel the famed Aviary in Chicago with its hocus-pocus, molecular mixology stuff. Its happy hour is more old-school: $8 Old-Fashioneds and $7 boilermakers starring tequila and Tecate or Four Roses bourbon and a Rainier. Deviled eggs go for a buck. 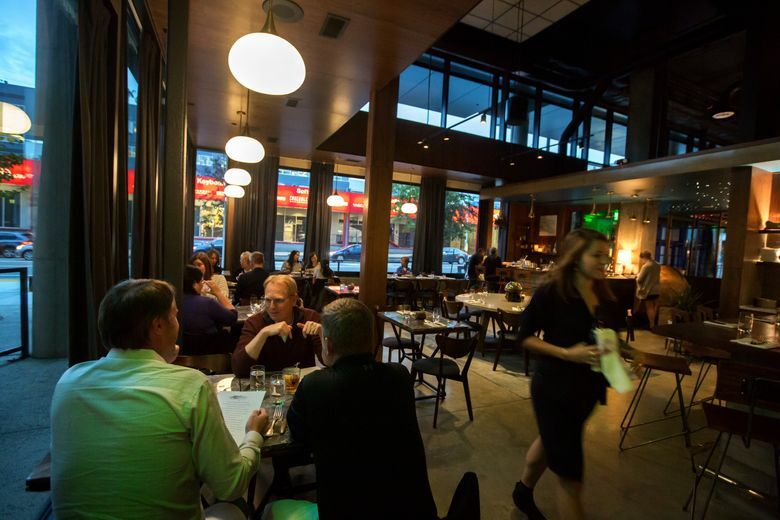 The couple behind the much-missed Sambar in Ballard have returned with Spirit in the Bottle, inside Marmite in Chophouse Row. Bruce and Sara Naftaly are trying to gain some traction in the competitive Pike/Pine corridor with $7 craft cocktails during happy hour.